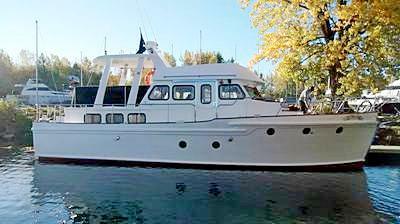 The "Marianne" was built in 1947 Pointe-aux-Trembles in Montreal. She is made of mahogany and white oak structure. 2 diesel engines Cummins for a displacement of 9 knots, total length of 43 '. We mainly travel on the St. Lawrence River but I would make him relive the Bahamas!